Hooves. Melee Weapon Attack: +5 to hit, reach 5 ft., one target. Hit: 8 (2d4 + 3) bludgeoning damage. 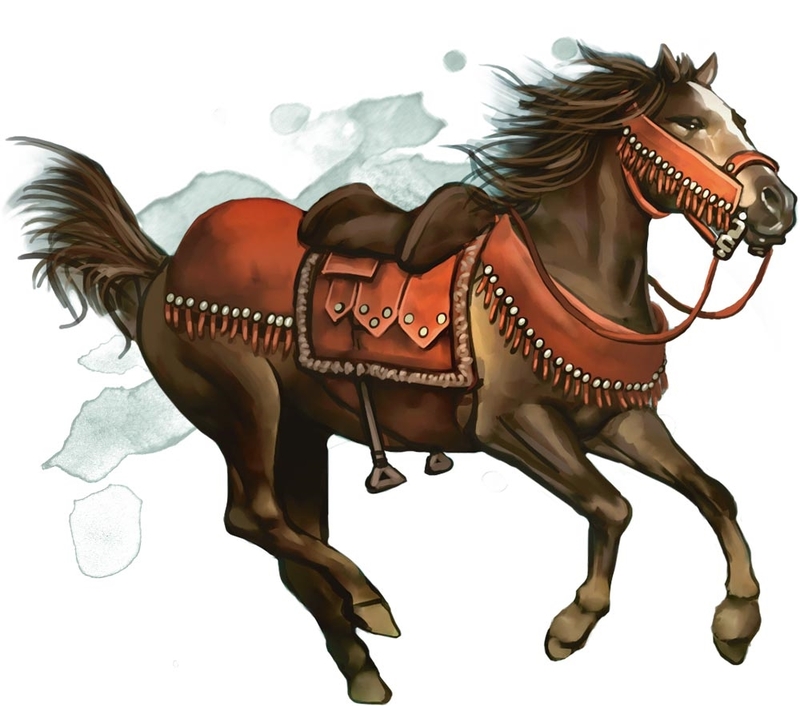 My Druid turned into a horse. i was painted to look like a nightmare to trick an efreet baby off of a carousel and ride me. We accidentally stumbled into a horse show jumping competition. Was that what you were hoping would happen? Travel distance on horseback daily on the High Road double human walking distance? Per RAW, that's correct. 60ft movement speed = 6 miles per hour = 48 miles per day of travel without risk of exhaustion due to forced march. Hope this helps!